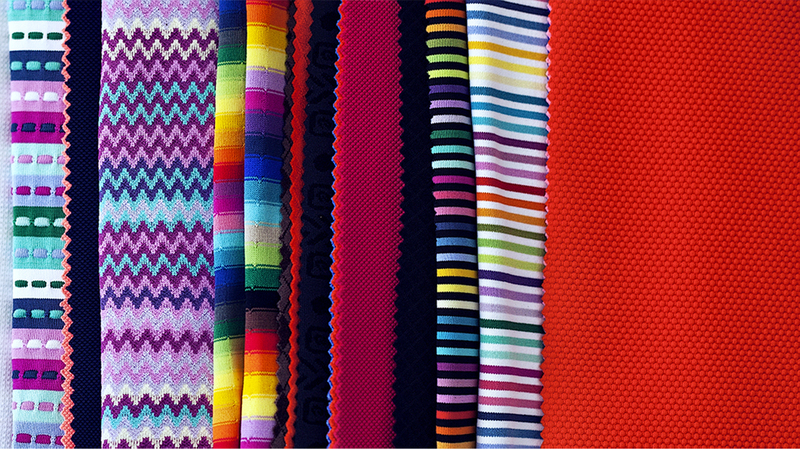 We are specialists in the production of elastic fabrics. We offer s wide range of fabrics to our customers, from the most simple like single jersey, piqué or plush, to the most complex jacquard structures of one and double bed, from gage 20 to gage 36. In terms of the composition, we can find natural fibers such as cotton or linen, artificial fibers like viscose or synthetic fibers as polyester, polyamide or elastomer, making it possible to combine several of them in the same fabric. • Polyamide microfiber cotton elastan jacquard fabrics.